The India-U.S. Police Chiefs conference will be held on 4th and 5th December, 2013 at New Delhi and inaugurated by Union Home Minister Shri Sushilkumar Shinde. The conference will be attended by U.S. delegation consisting of Police Chiefs from major cities and their technology partners. The representatives of Indian delegation with include Indian State Police Forces, Para-military Forces, Technology partners and other law enforcement agencies. The conference aims to open floor for the technology partners of both countries to evolve an institutionalized mechanism so as to work incessantly on sustainable technology up gradation for perceptible reduction in crime and providing more secure and livable environment to citizens. Cyber security and use of Forensic Science to determine accuracy of crime investigation will remain focal point of the conference. During the two day event, both sides will make presentations on response to mass casualty events, Maritime Security and Law Enforcement (Passenger & Cargo Security), Surveillance and Command Control in Urban Policing, Security and Law Enforcement in Mass Transit System, Lawful Interception (Intelligence) & Investigations, Crime Investigations and Forensics and Community Policing in multi-jurisdictional complex environment. The participants will deliberate on the key areas of internal security and explore future perspective of collaboration for building strategic alliances through the use of effective techniques for professional excellence of the police forces. 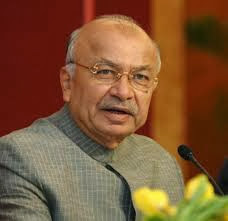 A delegation of MHA officials headed by Union Home Minister Shri Sushilkumar Shinde had visited the USA in May, 2013 to discuss various issues of internal security. The focus of discussion remained on the operational coordination between the law enforcement agencies of both the countries. The Indian side had proposed to organise the Police Chiefs’ conference at New Delhi to share and exchange knowledge on success, best practices and lessons learned in the context of mega city policing, critical infrastructure protection, cyber security and other matters pertaining to internal security.